“Syria was not drowning in her blood yet. She was being swept by peaceful protests suggesting an Arab Spring wind was blowing in her direction,” Ghassan Charbel, editor-in-chief of pan-Arab al-Hayat, comments today. Iran’s Supreme Leader Ali Khamenei received an Arab guest. The conversation centered on Syria. I met Khamenei’s Arab visitor in Cairo. He was trying to explain to me why Lebanese Hezbollah crossed the border to join the fighting in Syria. A few hours earlier, I had called on Sheikh Ahmad al-Tayyib, the Grand Imam of al-Azhar. I saw him worrying lest the conflict in Syria turns sectarian. He felt bitter about Hezbollah hurling itself into the Syria war and tarnishing its image as a party solely devoted to standing up to Israel. 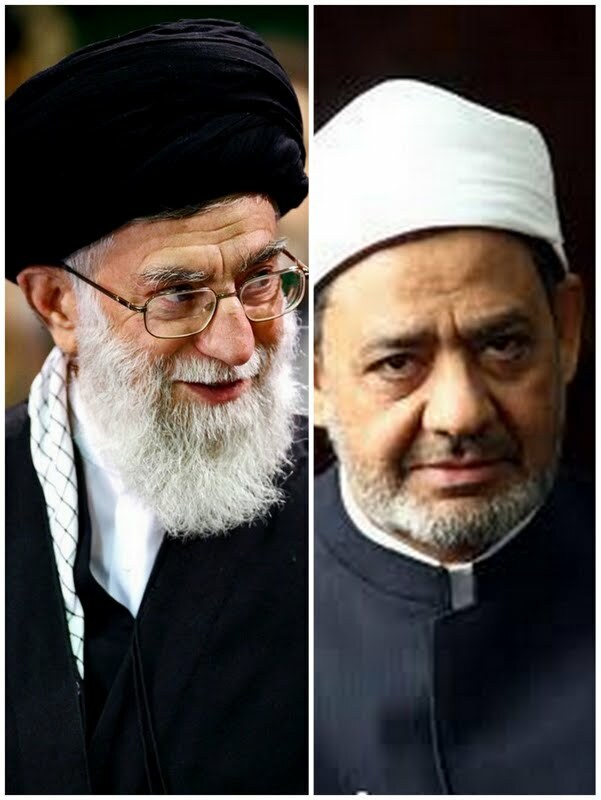 The Grand Imam of al-Azhar does not reproach Hezbollah only. He did not get convincing answers from one of his visitors named Mahmoud Ahmadinejad. The dialogue last February was frank and transparent. The Grand Imam of al-Azhar quizzed his visitor about Iran’s position vis-à-vis Bahrain and the three UAE islands. He also asked him about Iran’s role in Iraq, Syria, Lebanon and Yemen. And he did not hesitate to ask Ahmadinejad about the Sunnis’ circumstances in Iran itself. The tiff did not go unnoticed. The gravity of the conflict in Syria has forced all countries concerned to outpace diplomatic phraseology and lay bare their true positions. President Mohamed Morsi, who at one point fancied courting Iran and Russia to carve out a Syria peace role for Egypt, buried the idea after Hezbollah’s plunge. He also hardened his position against the regime and went overboard. The ongoing bloodbath in Syria changed the images of countries and their roles. It unmasked the depth of their contradictory feelings, their conflicting policies and their old and new fears. The perception of Iran forging ahead under the banner of bravado and resistance hit a brick wall of Sunni resentment across the region. Tehran’s immersion in the Syria crisis lost Iran her aura and image. At the same time, the axis of resistance lost its sole Sunni interface, Hamas. The Hamas movement in turn repositioned itself in its natural camp. Overt interference in Syria dramatically changed Hezbollah’s footing. Having said it was joining a life-or-death battle in Syria, the party is now on the first line of engagement with the Sunnis of Syria, Lebanon and the region. Hezbollah’s venture accelerated the cracks in Lebanon’s state institutions, coupled the “Lebanese arena” with the “Syrian arena” and added new injuries to historic wounds. There are those who believe Lebanon will suffer from the logic “it is either ours or no one else’s.” This means bringing the temple down if you can’t make it solely yours. The battle for Qusayr thrust the region into a situation where governments have to be in sync with inflamed passions on their street. Decisions taken at the Doha meeting show the conflict has reached the point of no return. Measures by the Gulf Cooperation Council (GCC) partners targeting Hezbollah loyalists and financiers sent an unmistakable signal. The battle in Syria has turned regional and international. Still dithering and fearful of Jabhat al-Nusra and its sisters, America has been whitewashed to accept arming the opposition. A battle as vitriolic internally, regionally and internationally threatens to pulverize Syria and ravage the weak neighboring milieus. No one country can endure this level of risks and this number of risk-takers.